Human body goes through five phases 1. Birth 2. Infancy 3. Adulthood 4. Old Age and 5.Death. The body starts withering in old age – as weakness, various diseases and sickness set in. Decay usually sets in with the old age, but in certain cases the diseases and other deficiencies start showing right from the very birth, childhood, adulthood or middle age. For disease to set there is no particular time table. This disturbed status can be countered by taking medicines or right care or proper food. The rejuvenating foods are those which help in freeing the body from withering, weakness, diseases, and or sickness. 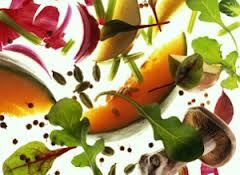 The food which supply correct elements in the food we eat to improve the health are called the Rejuvenating food. By experience it has been found that infirmities, sickness, weakness, diseases and withering start affecting the body as per following probable causes. 1) Development of some organic defect in some part or parts of the body or decay of some part/ parts. 2) Deposit of some toxic material in the body. 3) Lack of proper assimilation of active constituents of the food we eat. 4) Defective elimination of the wastes and toxins from the body. 5) Continued deficiency of some necessary nutritive constituents in the body and / or in our daily food. 6) Constant use of dead food as opposed to live food. 7) Mental pressure in the form of worry, mental tension, loss of self-confidence, fear, suicidal tendency etc. We may view the situation in another way. TOXICITY is the only cause for the sickness of a body. A healthy body system nourished with organic food never falls prey to sickness or bodily error at any time. Based on this assumption it can said that Live Food has the basic requirement of rejuvenating our human system and can be called the rejuvenating food.